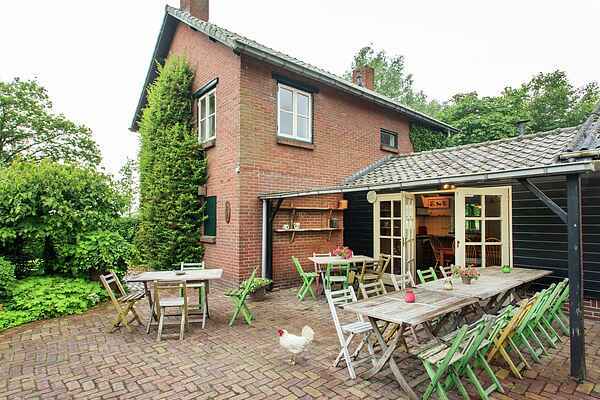 This group accommodation is located in a quiet forested environment in North Brabant. The residential farm is a charming accommodation where you can relax and enjoy country life. In the evening you can gather around a crackling open fireplace and enjoy a bite and a drink. Only approximately 500 metres away there is a holiday centre where you can use the various facilities such as a sauna, indoor and outdoor pool and playground. Near Reusel you are surrounded by beautiful nature. It is lovely for walking and cycling through the woods. Rather sit on a terrace and feast? There are various restaurants in the area! For the shoppers, the larger cities of Den Bosch, Breda, Tilburg and Eindhoven are easy to reach by car. The Efteling in Kaatsheuvel, the Beekse Bergen safari park in Hilvarenbeek and the historic open air museum in Eindhoven are highlights for all ages!